Turkey has been in the high-speed process of reform since the ruling AK Party came into power in 2002 elections and today the hottest topic in daily life is whether the presidential system suitable and fits needs of Turkey or not. There have been various legal and illegal attempts such as unsuccessful coup d’état plots, efforts to block parliament during the election of Ex-President Abdullah Gül, Gezi Park protests and more recently corruption investigations in order to topple down AK Party or at least diminish the leadership role of Recep Tayyip Erdoğan, from very beginning of its victory in 2002. However, AK Party’s vote rate has increased in every new election which was %34 in 2002 compared to %49 in 2011. Nonetheless the result of the last presidential elections, in which first time Turkish people elected their president by themselves and resulted by the victory of Recep Tayyip Erdoğan by %52 votes, another prove of increased power of AK Party in Turkey. In the meantime Turkey has developed a lot in terms of its foreign policy perspective, democracy standards and more importantly economic outlook which has been the basement for all development processes. One could be imprisoned just because of addressing Abdullah Öcalan, who is former leader of PKK and has been taking an important role within the negotiations between government and PKK terror organization, with the title Mr. which perceived as praising terror and terrorist activities according to law. Beside this and more important for me is that with the opening process which implemented by AK party government, today no one have any argument such as Kurds are not a nation and this problem can only solve by military measures. In addition to that AK Party governments did quite a lot on democratization process such as lifting the ban on headscarves, turning back the properties of minorities which extorted by the old governments of Turkey, addressing the Alawite people’s problems although have not been made any progress yet and so on. (For more please check: “The Silent Revolution: Turkey’s Democratic Change and Transformation Inventory 2002-2012) Needless to mention the most appreciated tremendous development in infrastructure, improvement in health sector, and increase on per capita income. In terms of foreign policy, AK Party has changed long lasts one-track foreign policy by implementing multidimensional perspective which paves way to diversified and increase trade volume that ease economic development of Turkey. Furthermore, AK Party’s foreign policy perspective which based on win-win strategy and stand with the oppressed people of the world accepted and appreciated by the long time suffered people of Turkey who have been neglected because of their religious, cultural, identity values under the bureaucratic, oligarchic Kemalist system. Thus, AK Party became a dominant party without any rival in Turkish politics. Moreover, surveys and expectations show that a forthcoming general election, which is going to be held in the beginning of June, will be resulted with a decisive victory of AK Party. The trend of increase in the votes of AK Party lies behind the motivation and aim of the reform process. AK Party has always been in favour of change and progress as it was case while opposition parties tried to block the presidential elections in 2007, referendum held with the proposal of AK Party in order to change the election system of president and Turkish society backed the proposal by almost %70 vote of yes to the question “should Turkish people directly elect to the president or not?”. This should be perceived as tragic experience or lesson by opposition parties because while they were trying to block AK Party to elect its candidate as a president in 2007, they enabled the change in constitution that actually gave chance for Recep Tayyip Erdoğan to become the first elected president of Turkey on 10 August 2014. This obviously shows that Turkish society is eager to change and development rather than keep “status quo”, which is the key word while defining opposition parties in Turkey. With this aim of Turkish society to change and development, which President Recep Tayyip Erdoğan read carefully, the change from parliamentary system to presidential system is not a big deal. That’s why opposition side should more focus on debates and proposals for “what kind of presidential system should be good for Turkey?” rather than either trying to insult or block the attempts for change by using the term of “dictator” for Erdoğan and the argument suggests that Turkey became more authoritarian under the rule of AK Party and his founder leader Erdoğan. It is obvious that Turkey has faced with many undemocratic steps under the rule of AK Party within the 13 years period. However, those anti-democratic steps have been periodic and taken as protection measures when AK Party experienced threat from outside by the events such as Gezi Park, graft probe and so on. One should try to understand the motivation of government when faced with such occurred threats, which outsiders as such Gülen Movement and others have been part of. To be honest, despite the all periodic anti-democratic measures, AK Party has always been the most democratic political party in Turkish political life in general. No one ready to even dream about the old and bad days which were the results of instable political coalitions, bad economic situation and more importantly those were the times in which different religious, ethnic, and cultural backgrounds were not accepted by the state, even more excluded and not recognized. In those days every citizens of Turkey have to be Turk, Sunni, and did not have chance to practise religion as freely as like today. Turkey is on the path which requires changes and developments in all areas such as education, local administrations, environmental issues, democratization matters and so on. Certainly, AK Party is the biggest candidate for overcoming the problems of Turkey such as ongoing peace process with PKK. 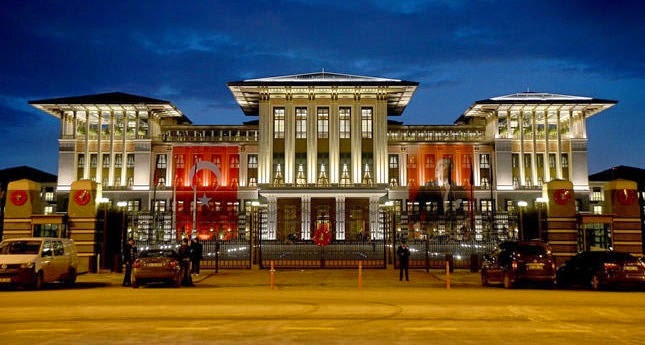 Implementation of new constitution enables Turkey to be more democratic, prosperous country in which AK Party proposes the change in political system as replacing parliamentary system with presidential one. It should definitely be discussed with all details and more importantly the balance between powers must be provided. In today’s world no one give up from her/his own rights for the sake of president or state and the new constitution of Turkey has to put human rights and democracy in its basement. However, so called universal standards which were basically defined by the west of the world should not be considered as a compass since the hypocrisy which is made out of is visible everywhere. Turkey is capable and able to find its own model with the essence that has been part of its history and became inherent part of Turkish society. The essence of Turkey that consists of justice and peace should be the basement for the new constitution. We all have been hearing about the rule of law and human rights for a long time while those are the first things that have been forgotten many times in practise. 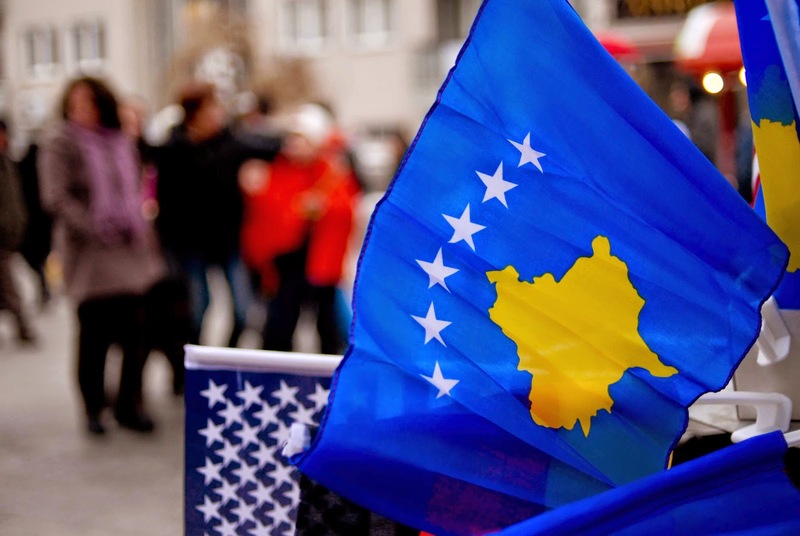 Kosovo has just celebrated the 7th year anniversary of its independence from Serbia on 17th February 2008, while the numbers of Kosovo citizens trying to illegally enter the Europe Union is on the rise. According to the Hungarian police report, around 4400 people from Kosovo were arrested in a week while trying to pass the Serbian-Hungarian border illegally. Approximately 50.000 people have left from Kosovo in recent months, according to Kosovo Intelligence Agency. 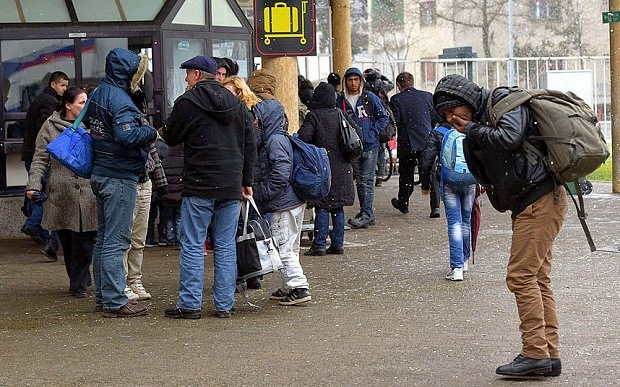 The migrants, who leave from the country with the hope of gaining asylum in the EU countries, firstly travel to Serbia with their ID cards and then try to pass the border of Hungary at night either by themselves or with the help of smugglers. After 7 years, the disputes over independence are not taking any more attention while the socio-economic problems of Kosovo have become more visible throughout the time. I visited Kosovo aftermath of its independence and wrote a piece which covered that despite the fact that Kosovo is an independent country, it seems more or less global village with the international institutions that appeared everywhere such as the NATO and the EU. Moreover, without any doubt the biggest challenge for the country was youth unemployment which was clearly understandable from the first sight if anyone looked at the crowd at cafés and bar shops within the working times. Friends from Kosovo blamed me for not being patient enough and even criticised me as being traitor to a country which I consider as a brother land. Main motivation of mine was a kind of being a good and honest friend of Kosovo while criticising institutions of Kosovo in terms of being corrupted and not working properly. And today I am very sad to see that main problems such as young unemployment and institutionalization have been the topics which did not get enough attention from the politicians. There is no doubt that nation building, institutionalization and such processes take times. Kosovo declared its independence in 2008; however, it has been under the mandate of the UN since 1999. In other words, we should not consider the date of independence as start point for the development of Kosovo. Kosovo has been under the rule of Democratic Party of Kosovo (PDK) with the leading role of Hasim Thaci, one of the former-leaders of Kosovo Liberation Army (KLA-UÇK), since its independence in 2008. Last parliamentary elections held on June 2014 and Thaci’s PDK declared slight victory which was followed by Isa Mustafa’s Democratic League of Kosovo (LDK). There had been six months political stalemate which ended by the deal between two major parties. Although Thaci’s PDK slightly won the elections, the new government formed with Isa Mustafa’s LDK and Mustafa took the chair of prime minister while PDK’s Thaci, ex-prime minister, took the position of Ministry of Foreign Affairs and kept the promise to be a nominated as presidential candidate by two parties which enable him to be the fourth president of Kosovo. While the political elites are looking for a chance to maintain their power, -as it has been the case for Hasim Thaci- aftermath of the excitement and happiness of having an independent state, people of Kosovo started to feel isolated by not having visa liberalization from the EU, moreover, the stories about independence are not satisfactory anymore. At least, the expectations from the independence as reward of being under the UN mandate for almost 10 years have not become truths yet. One of the chronic problems of Ex-Yugoslav countries except Slovenia, which has always been different case, is political deadlocks that slow-down all development processes, specifically the most urgent one, economic development. Political stalemates have been occurred everywhere but never more than any Balkan countries. Most recently it is happening in Bosnia and Herzegovina, where the previous government could form after 14 months to the elections. As mentioned above Kosovo held last elections on June 2014, however, formation of government took 6 months. Political deadlocks and long last political agreements cause instable environment for investors as it is case for Kosovo. Hykmete Bajrami,Trade Minister of newly formed government of Kosovo, has said that Kosovo experiencing a fall in foreign direct investments. According to the minister, foreign direct investment was 121.7 million euro in the first three-quarters of 2014 compared to 258 million euro in foreign direct investment for the entire year of 2013. Independence of Kosovo was an important step and excellent work has been done by getting recognition from 108 of 193 member states of the United Nations in short period of time. Furthermore, the ongoing negotiation process with Belgrade should be considered being brave and courage enough. Despite the all those achievements, the first expectation of people of Kosovo is solution for unemployment which is the core reason of current waves of people from Pristine bus station to Belgrade and then to the EU countries for gaining asylum. Rivalry between political parties and elites should be left behind for the sake of Kosovo until the time that stable economy created, prosperity of people of Kosovo provided. Otherwise, there will be more difficult times in which Kosovo struggled a lot, although it’s recognized and respectful independence. As most of you know that yesterday I celebrated 28 years birthday of mine! Actually and rather than me you all made my day and celebrated it. Those celebrations reminded me how beautiful times I’ve spent with such people like you. I basically amazed that how I could manage to have a lot of friends from north to south and east to west parts o the world. Some of you may have never got any celebration from my side by the time of your birthdays and some of you neglected by me many times. Those omissions were not intentionally but still make me blame myself! Thus, I firmly apologize from all of you who might have felt forgotten. There are many excuses for such mistakes; all of us have been dealing with many things in that life for the sake of being successful, making career, earning pocket money, or whatever so. Besides all challenges what I find out is that the most meaningful part of life is having people around you who wish from their heart many good things to one another. At this point, what I have been doing is trying to helpful to all people and spreading the hope for a better life... And the possibility of being rich and feeling rich even though without any money! The most successful career for me in this regard is being a good person with of course its own mistakes. Human being is created mistaken and imperfect! Or let’s say existence of human being is imperfect! Why I am very happy today is despite all my mistakes and imperfection, I surrounded with such a good people who are given by God to me as the best present! There are many obstacles in this life in which we all find ourselves feeling lonely and powerless. However, those are the moments of being tested and whoever either has helped one another or spread the message of hope and peace, will get some help and feel of hope from someone else, sometimes even from some strangers. That’s way the friendship and trying to be a good person is the most successful career within our short lives. I am neither a philosopher nor a teacher or do not have any affiliation related with teaching or methodology, however I am an ordinary person who has his own stories, experiences, and even more principles. Thus, I think that all experiences of human being are worth sharing with others. Otherwise, how could we learn from one another? For the last words, I am grateful to God because of the existence of such friends who have always been with me and taught me one of the main points of life! I am grateful to all my friends who have always been honest towards me and remembered me in difficult times. Good days can be passed alone but the times of sadness and being powerless are not same and make us feel in a need of friends. I hope and will try to be with all of you in your difficult moments rather than just hoping for you to not to have bad days in your lives. I wish you all the best my dears! 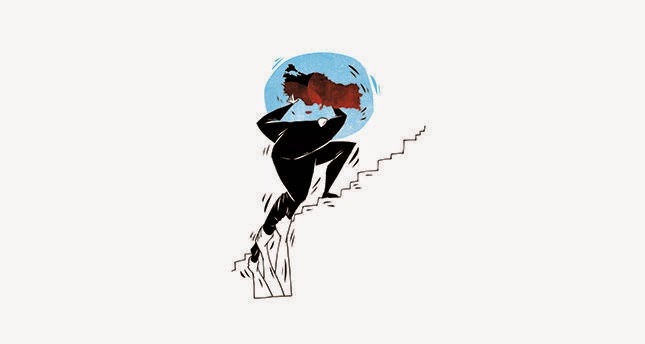 Recent barbaric-horrific terror attack to the well-known French magazine Charlie Hebdo warmed up and drew attention to the ongoing debates on integration, immigration, relations between the West and the East, Islamaphobia and so on. Firstly and without any doubt, all human beings must condemn this coward, cruel and outrageous attack. I firmly condemn the terror and give my condolences to the families of the deaths. Many experts, scholars, journalist, well-known activists has wrote many things after the sobering incident. Furthermore, one of the biggest marches of recent times has organized by France and more than 50 head of state attended this unity march which sent a strong message to the world about consciousness and unity against terrorism. All of these are the important and should be supported by everyone. However, many strange, unacceptable and pointless reactions such as Robert Murdoch’s tweet, “Maybe most Moslems peaceful, but until they recognize and destroy their growing jihadist cancer they must be held responsible.” have seemed aftermath of the incident. Basically Murdoch’s tweet as reaction to the horrific event was unacceptable and simply fascistic. I describe it as fascistic in basic terms because of not about being Muslim but more about being human. As being such a man; well-known, visible, educated, more or less influential, Robert Murdoch should at least know that these kinds of comments and arguments only serve to increase hatred towards Muslim and vice versa. I would like to tell in advance that recent terrorist attack to the Charlie Hebdo has nothing with Muslims and Islam as many different terror attacks had happened during the history of human being. It is simply because of not religion and there has not yet been any religion, which order to kill or torture, in the world. One may and should ask then; “Why murderers-terrorists -or whatever you call- attacked Charlie Hebdo or terror organizations such as ISIS and Al-Qaeda have been using religion and religious motivation for their existence?”. Terror has always been using victimhood and feeling of injustice to recruit and motivate people for the most barbaric events of the world. Let’s make it simple and take the cornered cat as an example. If you follow up a cat and cornered, what would be the reaction of it? First the cat tries to escape and get its freedom back, if not successful then tries to beat you up by scratching. The cat attempts to scratch which should be read as using its entire means of power. Otherwise, the only choice of the cat is to accept being domesticated and follow up the orders of ruler, owner, governor or whatever it is. Even more the cat started to be dependent on the ruler-owner in terms of all means as such food, water etc. In this case if the ruler-owner of the cat is fair, conscientious and wise, there won’t be necessarily conflict between the owner-ruler and the cat. Needless to tell what will happen if the conditions are different? Surely, nothing can justify violence, killings, torture, and brutality while all these unacceptable events cannot be perceived as one-sided. One might kill others in the name of everything as it proofed in the historical books. If the case is organized crime or terrorism, one also may find many reasons as motivations which lie behind its barbaric event. However, the most important responsibility of human being is not to create or prepare the ground for those motivations and not let people to feel treated unjust. Justice is the key word and comes before everything even rule of law. Rule of law is one of the principles of democracy but as human being faced many times in the history, rule of law has not been provided justice many times.